Replace Your Missing Teeth and Smile Again! Are you embarrassed by your smile because you are missing teeth? Are you unable to eat foods you enjoy because of missing teeth? Then you are among the 69 percent of adults between 35 and 44 years old who have lost one or more of their permanent teeth. In fact, by the age of 74, more than 26 percent have lost all of their natural teeth. 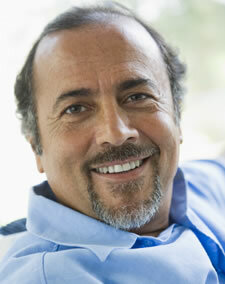 Dental implants in Dublin, CA may be the perfect solution for you. Dental implants in Dublin have become the tooth replacement of choice for many patients. Whether you are missing one tooth, multiple teeth or all of your teeth, dental implants can help restore your smile. Implants provide a permanent and secure replacement. You will not have to worry about them sliding, falling out or looking like false teeth. When you lose a tooth, your jaw bone loses the stimulation the tooth root provided and begins to deteriorate. The adjacent teeth will tend to drift without the support of the missing tooth and begin to lose bone support as well. A dental implant will provide stimulation to prevent deterioration of the jaw bone and support adjacent teeth. Dental implants are composed of three main components: the implant itself, an abutment and a crown. The implant is a titanium post that is embedded into the jaw bone. Titanium is biocompatible and fuses to the jaw bone as it heals. This provides a solid support for the replacement tooth or teeth. An abutment is placed on top of the implant post and supports a natural looking crown. There are different procedures and types of dental implants in Dublin. Dr. Zoe Huang can go over what treatment options would be best for your individual needs and concerns. Dental implant cost can vary from case to case. In some patients, additional dental treatment may be required before placing a dental implant. If you have signiﬁcant bone loss, Dr. Huang may recommend bone graft surgery ﬁrst. Patients with gum disease will need to have treatment for the condition in order for a dental implant to be successful. with Dr. Huang today for dental implants in Dublin. We will be happy to discuss the dental implant cost and recommend the ideal treatment plan for your individual needs.